(1952-60 'Chess') (57:23/20) 'The Chess 50th Anniversary Collection'. 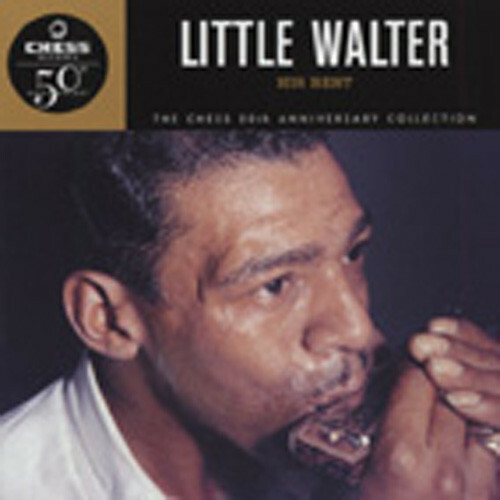 Little Walter Jacobs took the humble harmonica to previously unimaginable levels. In his extraordinary hands, the instrument could swoop like a bird, growl like a bear, or boldly investigate jazz territory where no blues harpist dared go. What he did with amplification had never been envisioned by his fellow harmonica wailers, redefining the role of the harp in electric blues. Marion Jacobs rolled into Chicago in the mid-'40s, though he'd already accrued plenty of experience in both music and life. Social Security has his birthdate as May 1, 1923, but his biographers peg the actual year as 1930. He was born in Marksville, Louisiana, first picked up a harp after hearing country performer Lonnie Glosson, and left home for New Orleans in his early teens, already fluent on his instrument. Both Sonny Boys were prime influences, the latter first-hand in Helena. 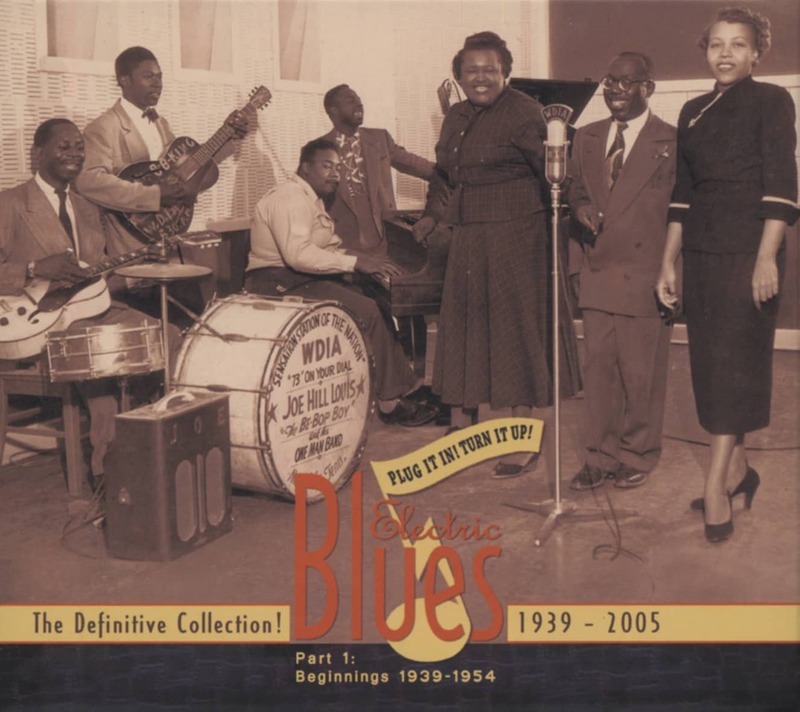 Despite his youth, he played with Honeyboy Edwards, Sunnyland Slim, and Robert Jr. Lockwood, rambling through Memphis and St. Louis before settling in Chicago and playing Maxwell Street. There Walter met Jimmy Rogers. "Sunnyland brought Walter to Chicago. He was a fantastic harmonica player," said Rogers. "He mostly was self-taught. He'd mostly do a lot of stuff just pretty well by himself, with no band. It was kind of hard to get him to settle down and play with a band. That was the hard part. But we worked him in. Got him in real good." That band was headed by Muddy Waters. Walter joined it in the fall of '47 after making his first studio appearances behind Rogers as well as doing his own vocal for Bernard Abrams' tiny Ora Nelle Records on Maxwell Street. Walter sang the rocking I Just Keep Loving Her, one half of Ora Nelle's first 78. Then Waters gobbled him up. "Me and Baby Face Leroy started to playing. He played guitar. We said, 'Hey, we need another piece!' And we went and found Walter and got him to come with us. Then Jimmy Rogers came back to the band," said Muddy. "We take Leroy off guitar, put him on drums, and Jimmy and myself played guitar and Walter played the harmonica." The greatest Chicago blues band of all was born, though Leonard Chess didn't allow Walter to play on Muddy's records until 1950. After that, Walter was integral to Waters' sound until an instrumental they cut on May 12, 1952 as Your Cat Will Play came out as Walter's first Checker single under the snappy name of Juke (Elga Edmonds was the drummer). Juke sat at the top of the R&B charts for eight weeks, ensuring Walter's exit. He went looking for the Aces, comprised of guitarist brothers Louis and Dave Myers and drummer Fred Below. "All of a sudden," said the late Dave Myers, "I looked up and there was Little Walter in the house. I'm waitin' for Junior Wells to come to work, because he was late. I said, 'Where's Junior?' So Louis say, 'Well, I think Junior's gone.' So Muddy had sent for Junior, 'cause Walter had left him out there. "He was looking for a band. He know his record was real strong, and we was the onliest guys that he could relate to." Now Walter was the man in charge. Customer evaluation for "His Best (CD)"